This year from the Eureka area on California’s North Coast to Brookings, Oregon, we’ve had two really good storms. 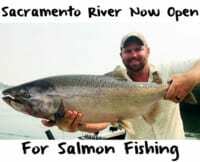 These storms keep our rivers from being too low and clear to fish, while also bringing in fresh steelhead. This winter our rivers have had decent numbers of fish in them. Thus far, the Chetco has been the best system for us. The Smith has been tough, at times, and decent at times. The Eel has been up and down, too. The Mad has been the same way. There have been some good days and some tougher days, too, but there are a few months of steelhead fishing left and I’m expecting it to improve. In the latestt storm that hit Saturday night we had more rain up north than we did down south. All the rivers from the Eel through Oregon blew out. Fortunately, the Smith started fishing yesterday and the Chetco will fish tomorrow. I’m expecting the rivers near Eureka to slowly come into shape as well. It’s going to be a great weekend to steelhead fish from Eureka on up the Oregon Coast. Of these coastal systems the most consistent producer has been the Chetco. Usually, the main stem of the Eel fishes pretty good for us, but it hasn’t been as consistent. Fortunately, on the Chetco, even in low water conditions, there was still fish around. It’s tougher to get them in those conditions, but they were still available. It won’t be low and clear for a while, at least 10 to 12 days. We should expect great things from the Chetco with fresh fish now coming in. And, we have some really high tides this week so that should help bring new fish into the system. The Smith should be fishing great for the next week. There hasn’t been as many fish around so far this season. There have been some really nice fish caught on the Smith, but not as many as on the Chetco. The numbers are down a little bit. The Smith will be really clear in a few days. Yesterday, alone, we started with two feet of visibility and ended the day with at least three. We know the recent storm brought new fish in so fishing should improve. The Klamath isn’t fishing at all right now. It will take about 10 days for it to come back in, and that’s only if we don’t get more rain. There’s steelhead throughout the entire year on the Klamath, so if it comes into shape, it should be fair to good, but there will be almost no pressure. In the first few weeks of January the main stem of the Eel and South Fork were fishing, but the South Fork got too low and forced us to the main stem. Friday night and Saturday, both blew out with the storm that came through. I’m expecting the upper part of the South Fork down by Leggett to fish today and the rest of the system will come into shape daily. 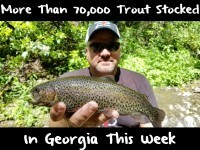 The South Fork has been pretty good this year. The South Fork gets better later in the season as numbers in the system increase with downers and fresh fish around together. The good news is it looks like the main stem of the Eel is going to be fishing by this weekend, which will help ease some pressure off other systems. While it hasn’t been red hot, we have been catching some quality fish. It’s like little pods are going through. One day you’ll get them and the next day you wont, but there’s fish around for sure. Regardless of which system you choose to fish, I’m side drifting bait fished on Mad River Drifters and a Fish Pill and will be through March. We’ll pull plugs from time to time, too. I’m curing my roe in Natural BorX O Fire and fishing it on 15-pound P-Line CX with 10-pound P-Line fluorocarbon as a leader and using size 4 Owner hooks. Editor’s Note: A resident of the North Coast, Alan Borges operates Alan’s Guide Service. 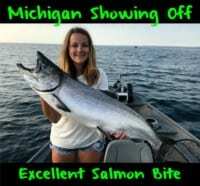 For information on his coastal steelhead guided fishing trips please visit http://www.alansguideservice.com/.